The CIS Max Hartwell* Scholar-in-Residence Program is named in tribute to the noted economist, freedom advocate and good CIS friend. Thanks to generous support, the CIS hosts an international visiting scholar for a month long residency. 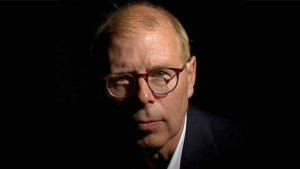 James Bartholomew is a journalist and author with a particular interest in the harm welfare states can do to nations. He has been a leader-writer for the Daily Telegraph and the Daily Mail and written for many other publications including the Spectator. His most recent book is The Welfare of Nations. 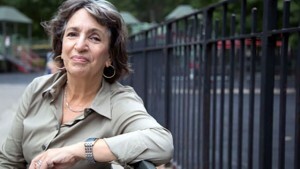 Kay is the William E. Simon Fellow at the Manhattan Institute and a contributing editor of City Journal. She writes extensively on childhood, family issues, poverty, and cultural change in America. Hymowitz is the author of Manning Up: How the Rise of Women Has Turned Men into Boys (2011), Marriage and Caste in America: Separate and Unequal Families in a Post-Marital Age (2006), and Liberation’s Children: Parents and Kids in a Postmodern Age (2004), among others. She has written for the New York Times, Washington Post, Wall Street Journal, The New Republic, New York Newsday, Public Interest, The Wilson Quarterly, and Commentary. Kay has presented her work at many conferences, sits on the board of the journals National Affairs and The Future of Children, and has been interviewed on numerous radio and TV programs. Hymowitz holds a B.A. in English literature from Brandeis University and an M.A. in English literature from Columbia University. Dr Anthony Daniels, more popularly known by his favoured pen name Theodore Dalrymple, the “Sceptical Doctor”. was born in in London 1949 and retired from medical practice in 2005. He still does medico-legal work. He has written for many publications, including The Australian and Quadrant. He wrote a weekly column in the Spectator for 14 years about his work as a psychiatrist in an inner city hospital and the prison next door. Before that he wrote several travel books, Coups and Cocaine, From Zanzibar to Timbuktu, Sweet Waist of America, Monrovia Mon Amour and The Wilder Shores of Marx. He has written a book exposing the myth of heroin addiction as a disease, Junk Medicine (Romancing Opiates in the US). Many of his essays in the City Journal of New York have been published in book form: Life at the Bottom and Our Culture, What’s Left of It. His latest book of literary essays is Good and Evil in the Garden of Art. He lives in England and France. Tom G. Palmer is the executive vice president for international programs at Atlas Network. He is also a senior fellow at Cato Institute and director of Cato University. Before joining Cato, he was an H. B. Earhart Fellow at Hertford College, Oxford University, and a vice president of the Institute for Humane Studies at George Mason University. He frequently lectures in North America, Europe, Eurasia, Africa, Latin America, India, China and throughout Asia, as well as the Middle East on political science, public choice, civil society, and the moral, legal, and historical foundations of individual rights. 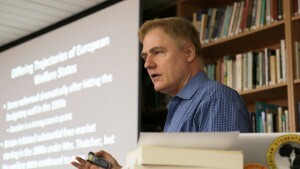 He has published reviews and articles on politics and morality in scholarly journals such as the Harvard Journal of Law and Public Policy, Ethics, Critical Review, and Constitutional Political Economy, as well as in publications such as Slate, the Wall Street Journal, the New York Times, Die Welt, Caixing, Al Hayat, the Washington Post, and The Spectator of London. He is the author of a Realizing Freedom: Libertarian Theory, History, and Practice the editor of The Morality of Capitalism, After the Welfare State,Why Liberty, and Peace, Love & Liberty. 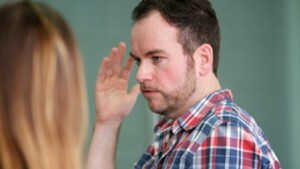 Brendan O’Neill is the editor of spiked, the magazine that wants to make history as well as report it, and is a columnist for The Big Issue in London and The Australian. He also blogs for the Daily Telegraph and has written for a variety of publications in both Europe and America. He is the author of Can I Recycle My Granny And 39 Other Eco-Dilemmas, and he is currently researching a book on snobbery. Click here to a list of events for all scholars. *Ronald Max Hartwell* (1921–2009) was an Australian-born economic historian of the British Industrial Revolution. Hartwell’s first academic appointment was at University of New South Wales (1950–56), where he held the chair of economic history. This was followed by a readership in Recent Economic and Social History at the University of Oxford, and then as a Professorial Fellow of Nuffield College, Oxford, 1956–77 (Emeritus 1977). He served as the editor of the Economic History Review from 1960 through 1968. His article “The Rising Standard of Living in England, 1800–1850” in the Economic History Review generated a great deal of controversy. Hartwell’s view that industrialisation had immeasurably improved the lot of the poor was in contrast to the prevailing opinion, notably that of Eric Hobsbawn, that stressed the damaging economic effects industrialization on the poor. 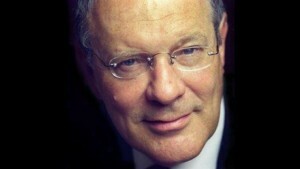 He was a member and, for two years (1992–1994), President of the Mont Pelerin Society.